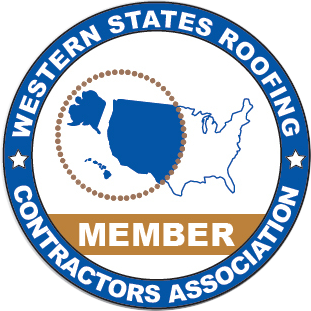 Spokane Roofing Company®’s service area extends far beyond Spokane in the Inland Northwest. A good example is Wasem’s Drug & Home Medical in Clarkston, WA in Asotin County. Spokane Roofing completely recovered Wasem’s metal roof that dated back at least 40 years. The metal roof retrofit project involved removing foam coating applied more than 20 years ago, then installing underlay, insulation and TPO single-ply roofing membrane. Reduces energy costs for metal buildings. After 20 years, metal roofs will leak, says Spokane Roofing Company owner Jeff Sitton. At Wasem’s, they’d been living with major leaks forever. Sitton says that retrofitting a metal roof will eliminate leaks for 20 years. Unfortunately, it’s still a big challenge to convince commercial building owners. They don’t need to wait until their roof leaks and disrupts their business, to address the issue. Although a retrofit saves money in the long run, most metal roof customers wait until their roof is in trouble to do something about it. Being proactive is a smarter way to go, says Sitton. The problem with old metal roofs, he says, is that grommets wear out, creating lots of leaks with no easy solutions. Very few metal roof retrofits have been done anywhere, Sitton says, because the industry is adapting slowly to a new roofing system. Spokane Roofing Company is accepting the challenge to get the word out to potential metal-roof customers, letting them know that a new roof is not their only option. One of the biggest advantages of retrofitting is the opportunity to add insulation, either with flute fill or rigid insulation over the top. Lower energy bills and energy rebates can help offset the cost of installing that insulation. Roofing supplies from Schurmans True Value Hardware in Clarkston, WA. Those are the kind of jobs we’re looking for, says Sitton, and we’re one of the few roofing contractors in the area equipped to do them right. We try to tell our commercial roofing customers now that they don’t have to live with leaky roofs or install new ones. We can extend the life of their current metal roofs, make their buildings more comfortable and safer, all for a really reasonable investment. Does Your Building’s Metal Roof Leak? Tired of a leaky metal roof disrupting your business? Then call Spokane Roofing at (509) 838-8633 about a commercial metal roof retrofit or roof replacement. 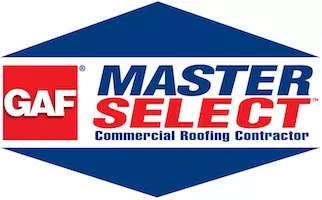 Our experienced commercial roofing team will help you pick the best roofing system for your need and budget.